A. They have, of some important particulars: Astrology was a leading branch of astronomy as cultivated by the Egyptians. The first six signs of the zodiac, counting from the vernal equinox forward toward the autumnal equinox, may be divided into three parts, typical of the first three degrees of masonry. If we count from the first point of Aries forward 60°, we reach and include Taurus. These two are typical of the first degree, and the unskilled workmen who labored at the preparation of the materials of the temple. 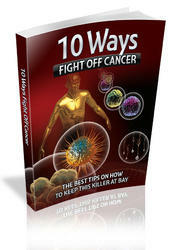 Advancing 60° farther, we reach and include Cancer. These two signs, Gemini and Cancer, are emblematic of the second degree. Sixty degrees more take us to and include Virgo, which brings us to the autumnal equinox, typical of completion, and the skilled workmen who wrought at the completion of the temple. The "significators" (to use an astrological term) of the first three degrees may therefore be said to be Taurus, Cancer, and Virgo. Now, according to the ancient science of astrology, as cultivated by the Egyptians, the sign Taurus (^f) rules the neck and throat; the sign Cancer (23) the breast; and the sign Virgo (Ity) the bowels. The deep and singular significance of this will not be overlooked by any intelligent mason. The astronomical rule of the twelve signs over the various parts of the body, according to astrology, is still kept alive by the figure of "Homo," as seen in old almanacs. Champollion says the accompanying figure is from the Egyptian Ritual of the Dead, and is often found in their papyri. For further information as to the nature of the rule and influence of the twelve signs, see Lilly's "Astrology." Some very interesting remarks on this subject may also be found in that curious book of Southey's called "The Doctor," Vol. II, Chapter LXXXVII, P. I. See, also, "Sibley's Astrology," Zadkiel's "Grammar of Astrology," and Burton's "Anatomy of Melancholy." As this division of the first six signs into three equal parts makes Virgo one of the "significators" of the third degree, we are naturally reminded of the beautiful virgin alluded to in the modern lecture appertaining to that degree. Q. What is the origin of the masonic emblem of the beautiful virgin? 1. The Jewish law forbids the making of any graven images of the kind. Even the Jews of the present time will not permit any sculptured figures to be set up as monuments in their cemeteries. 2. The urn, which is represented as containing the ashes of O. G. M. H. A. B., implies cremation, which was contrary to the fixed custom of the ancient Jews, as well as Egyptians, which dictated burial. 3. The Jewish law considered the contact, or near approach even, of a dead body unclean, requiring those thus exposed to undergo a long period of exclusion and purification. Our G. M. H. A. could not, therefore, have been buried anywhere even in the neighborhood of the temple, much less near the sanctum sanctorum itself. We have, however, positive testimony as to the modern origin of this emblem. 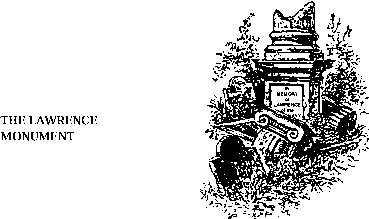 A full history of its invention, and when and by whom introduced into masonry, is given in a late article by Brother Robert B. Folger, in the "Masonic Newspaper." As the communication is of much historical interest, and also fully illustrates the way in which many modern innovations have been made, we give it entire. It should, however, also be observed that Cross did not claim to have invented all of his hieroglyphics, but admits that many of them had been "described by authors who had gone before him." JEREMY L. Cross has been dead for many years. A more genial and kind hearted man was not to be found, and his labors in and for the benefit of the masonic fraternity have endeared his memory to all who were acquainted with him during life. 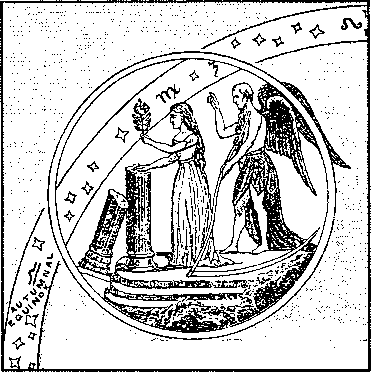 He has left a memorial of his masonic labors in the "Hieroglyphic Monitor," which bears his name, which passed through eighteen large editions before his death, and which has been trespassed upon more by masonic work whichever issued from the press, it being the basis of all works of the kind claimed by other persons. it as one of the greatest and most important achievements of his life. The causes which led him first to devise the plan of such a work were as follows: He was passionately fond of masonry, studied under Thomas Smith Webb, Gleason, and others, became perfect under them in the lectures and work, and then started through the country as a lecturer in the year 1810. He was a man of excellent appearance in early life, strictly temperate from his youth up. His manners were prepossessing, open, frank, very fluent in language, and, withal, a very fine singer. As a matter, of course, he became very popular, the business of lecturing flowed in upon him very fast, and he had as much to engage his mind in that line as he could well attend to. Wishing to take advantage of all the business that offered, he found the work slow of accomplishment by reason of delays caused by imperfect memories. He wanted something of an objective kind, which would have the effect of bringing to mind the various subjects of his lectures, and so fixing the details in the mind as, with the sets of objects presented to the sight, the lectures in detail would be complete. There was not at that time any guide for lodges except the so-called "Master's Carpet," and the works of Preston and Webb. The "Master's Carpet" was deficient, being without many of the most important emblems, and those which it displayed were very much "mixed up." The work of Preston did not agree with the "adopted work." That of Webb agreed perfectly, but still was wanting in it most important part, viz., the hieroglyphics, by which the work is plainly and uniformly presented to the learner, rendering it easy of acquirement, and imprinting it upon the mind in such a manner that it will not readily be forgotten. The second object was a copyright. He knew that in those days the cost of bringing together and putting together, and the bringing out of a work of the kind which he desired, would throw him into a large expenditure, and, in order to get back the cost and derive any solid benefit from it in the end, it must of necessity be in his own hands alone. He considered the matter for many months, and finally attempted to draw various plans, taking Webb's "Monitor" for a guide. Part of the work he accomplished satisfactorily to himself. This included the first and second degrees, and, although there was but little really original in the emblems which he produced, yet the classification and arrangement were his own. He went on with the third degree very well as far as the "Monitor" of Webb goes, when he came to a pause. "Brother Cross, when great men die, they generally have a monument." "That's right," said Cross; "I never thought of that," and away he went. had seen the monument erected over Commodore Lawrence, in the southwest corner of Trinity churchyard; that it was a glorious monument to the memory of a great man who fell in battle. It was a large marble pillar, broken off. The part broken off was taken away, but they had left the capital lying at the base. He would have that pillar for the foundation of his new emblem, but would bring the other part of the pillar in, leaving it to rest against the base. Then one could know what it all meant. The other part of the pillar should be there. This was assented to, but more was wanted. They needed some inscription describing the merits of the dead. They found no place on the column, and after a lengthy discussion they hit upon an open book placed upon the broken pillar. But there should, in the order of things, be some reader of the book; so they selected the emblem of innocence in a beautiful virgin, who should weep over the memory of the deceased while she read of his heroic deeds. "But, sir," said I, "how will you get along with the Jewish people? You know that very many Jews are masons. They are very tenacious of the 'law' which forbids the making of any image of any kind, and that even the touch of a dead body by a Jew renders him unclean, and, as a consequence, unfit to come into the synagogue until after many days' purification. They would never allow any dead body to be brought into the temple, nor will they even to this day allow any sculptured figures or images to be put up as monuments in their cemeteries." "Oh, I never thought of that," said Brother Cross. However, it makes no difference. I did not intend to injure the feelings or prejudices of any one by my monument. I only invented it to serve as a help to memorize my lectures and work. 1 Captain Lawrence: see "American Cyclopaedia." about any monument of the kind! How did it get into the history at all?" "Oh," said Brother Cross, "I put it there. You see the work was imperfect without the monument. It was right that there should be a monument for great men when dead. The thought of burying the body of a great man without leaving some memorial to mark the place where he is laid is repulsive. I think I have supplied the deficiency, and done it admirably." "But, still, this was done in 1819, and in 1825 it had not reached New York." "Oh, that is right. The Grand Lodge of the State of New York would not receive my work, and did not until 1826. They worked 'old style.' All the Eastern, Southern, and Western States had received and authorized it, but New York and Pennsylvania held out. But in 1826 Brother Henry C. Atwood, one of my ablest scholars, and as good a workman as I ever saw, established Mystic Lodge in New York City, and worked after my system. Immediately the work spread throughout the State. "The craft are indebted to me for harmonizing and beautifying the work and lectures. I have labored solely for their benefit, and they are quite welcome to all that I have done. But many have treated me badly, by copying and publishing my hieroglyphics, claiming them as their own. My copyright was based upon them, and upon the order of their arrangement. The publication cost me a large amount of money, and involved me in debt; and soon after its appearance a lecture in Vermont made a similar publication, infringing upon my copyright. I sought redress from the law, and was sustained. My copyright was confirmed and secured. "Since that I have never pushed the matter, although frequently on the point of doing so, as all those difficulties generally ended in some compromise, which amounted to very little. Many of the hieroglyphics which I have used are described by the authors who have gone before me, yet there are many which are not described, or even made mention of. These I claim as my own property, and, if I have refused to proceed in law against those brethren who have wronged me, it was not, because I doubted the justice of my claim or my ability to recover. This had been already settled in law. I chose to remember my obligations to the Order, although others had forgotten them. I preferred to dwell in unity and peace with the brethren rather than be the author of contention and strife, and thus bring a reproach upon an institution which I venerate and love." It would be proper to state that the monument erected to the memory of Commodore Lawrence was put up in the southwest corner of Trinity churchyard, in the year 1813, after the fight between the frigates Chesapeake and Shannon, in which battle Lawrence fell. It was a beautiful marble pillar, broken off, and a part of the capital laid at its base. The monument remained there until 1844-45, at which time Trinity Church had been taken down and rebuilt as it now stands. When finished, all the debris was cleaned away, the burial-grounds trimmed and fancifully decorated, and the corporation of the church took away the old and dilapidated monument of Lawrence from that spot and erected a new one of a different form, placing it in the front of the yard on Broadway, at the lower entrance of the church, where it now stands. Brother Cross and myself visited the new monument together, and he expressed great disappointment at the change, saying, "It was not half as good as the one they had taken away." weeping virgin, the open book, and the figure of Time, are all wanting. As these form the essential features of the masonic monument, Cross must have obtained the most significant elements of his emblem from some other source, which has not been disclosed. 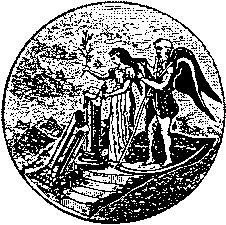 Had Cross been more familiar with the symbolism of those ancient Mysteries from which Freemasonry is derived, he might have devised such an emblem as he desired, which, while it expressed the same general idea, would not have thus violated the traditions of our Order, and also, at the same time, have been in entire harmony with the astronomical basis of the legend of the third degree.